As we've said before, finding quality Mexican food in New York City is like finding something on Bravo that doesn't make the planet dumber. Mexico Lindo is the needle in the haystack, and we've been satisfying our Mexican cravings there for years. A true family run establishment, Lindo has a homey feel, be it a quirky one. The best dishes in the house are the standards (tacos al carbon, fajitas, and enchiladas), although a few surprises on the menu keep things interesting. The black bean soup comes garnished with chopped red onion and banana, and is ridiculously good. Any steak dish is a winner, and the guacamole and salsa are very good. Note, if you're looking for a pomegranate margarita, then you've apparently stumbled into the wrong place on your way to Tonic East. Mexico Lindo is for those out to drink a few Pacificos and put a hurting on a giant plate of fajitas. Now you know. A fantastic black bean soup with big flavor, throw in chopped red onion and banana for some texture and sweetness and you're in business. These are essentially taquitos with smoked chicken, and come topped with sour cream and guacamole. The smoky flavor makes these a winner. In my opinion, this is the best dish in the house. The huge chunks of marinated steak are ridiculous on their own, but a cool jalapeño-cilantro sauce and some guacamole take these tacos to the next level. Don't mess around with the combinations. Beef is the way to go when it comes to Lindo's fajitas. It's a special thing when a giant sizzling plate comes to the table. As we mentioned above, anything with steak on the Mexico Lindo menu is good. This carne asada comes with some roasted poblano peppers and will leave you smiling. Simon and The Whale is the main restaurant at the Freehand Hotel, and it’s the sort of place where you can eat great food and run into an ex. Your neighborhood sushi spot in Gramercy. Bar Jamón is basically Casa Mono's waiting room. However, for that First/Early in the Game Date, where dinner feels too formal but you are also starving, Bar Jamón was designed for you. 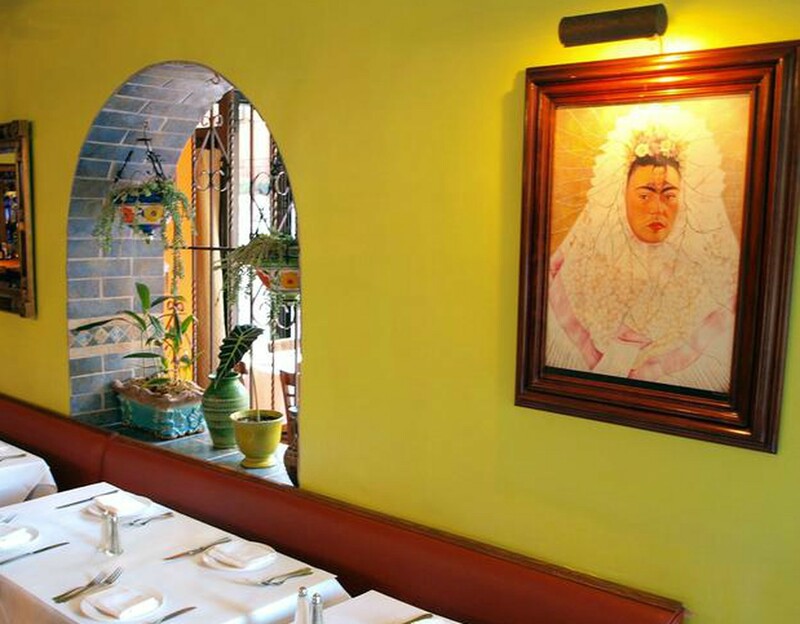 A fun Lower East Side spot with good Mexican food. This is where you should have your next birthday. This casual but hip restaurant is not an attempt at authentic Mexican, but rather an inspired interpretation using Latin flavors and fresh ingredients. The folks at La Esquina were smart to tone it down when they made the venture across the East River to Williamsburg. Café De La Esquina may be slightly pricey, but we are very down with what they're serving up. Toloache ain’t cheap, but in an area where dropping dollars on grub is a given, it’s a breath of fresh air when the food is legitimately awesome. Avenida Cantina is quite possibly the worst Tex-Mex we've ever encountered. And one of us is from Texas.